Solar Eclipse occurs when the Moon passes directly between the Sun and the Earth and it casts a shadow on the surface of the Earth. 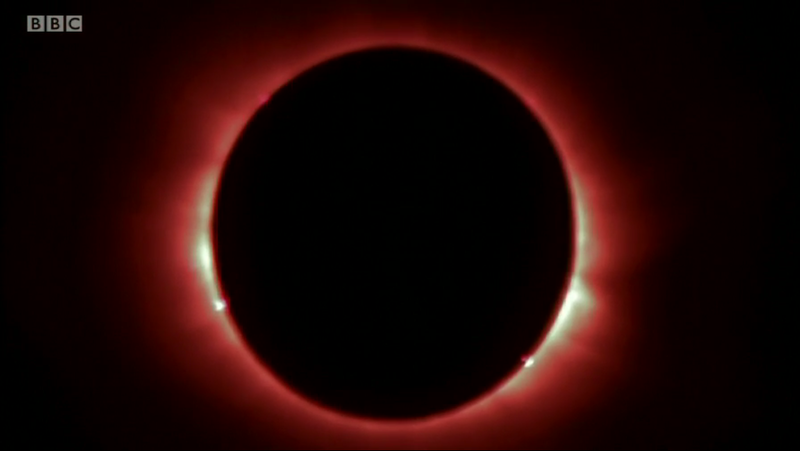 Amazing Eclipse phenomena, such as Baily’s Beads and Diamond Ring can be seen during a Total Eclipse. Where the Sun’s light is being obscured by the Moon on the Earth’s surface a notably quick drop in temperature can be felt and measured. Students at the BBC live broadcast site in Leicester will be using Kestrel 4500 Pocket Weather Trackers and Kestrel 1000 handheld wind meters for monitoring this temperature and wind change due to this stellar occurrence. 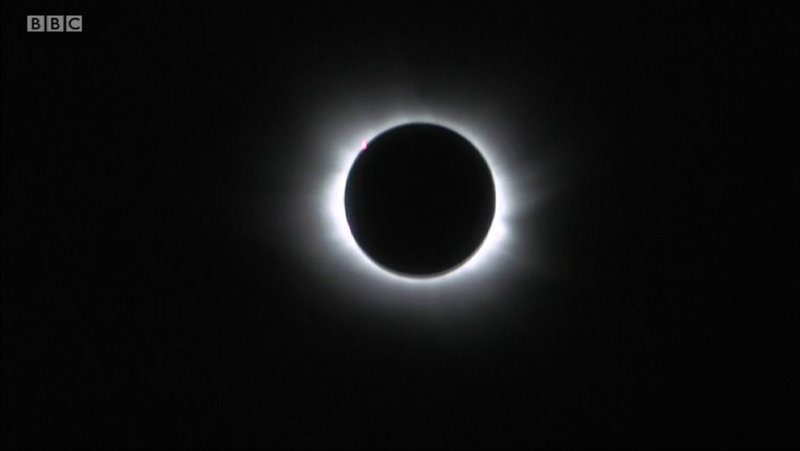 Here at our Richard Paul Russell Ltd Lymington and Milford on Sea sites we had full cloud cover but joined in by watching the live BBC broadcast and were able to engage in the beauty and wonder of the different phases of the eclipse. All the data recorded on the Kestrel 4500 Pocket Weather Trackers can be viewed on the device or downloaded via Bluetooth or optional USB PC Interface for more detailed analysis. The industry’s most coveted award honours the best new gear and essentials for outdoor enthusiasts. The Kestrel DROP D1 Wireless Temperature Data Logger has been named as a recipient of the 2015 Backpacker magazine Editors’ Choice Award. The prestigious Editors’ Choice Awards are given annually to products in recognition of their outstanding innovation in design, materials and performance. Kestrel DROP® D3 Wireless Temperature, Humidity and Pressure Data Logger – Temperature, humidity, heat index, dew point temperature, station pressure, density altitude, pressure trend. Kestrel DROPs connect wirelessly via Bluetooth® Smart to the Free Kestrel Connect App to display real-time measurements up to 100’ away and automatically sync stored data for charting, sharing to social media, saving and emailing. 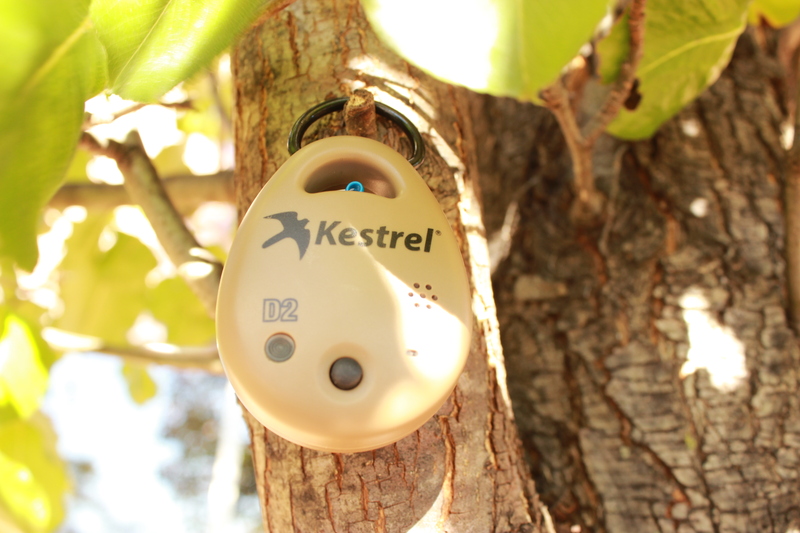 Because Kestrel DROPs are extremely small, rugged and waterproof, they are easy to carry along on any expedition to monitor and record conditions in almost any environment. DROP loggers meet military and international standards for water, dust and shock resistance (IP-67-30 minute submersion at 1m and MIL-STD-810G drop tested) and are equipped with a sturdy D-ring for hanging wherever needed. 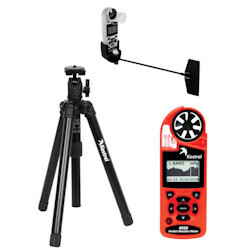 Richard Paul Russell Ltd are the official UK distributor for Kestrel wind and weather instruments and have been involved since the conception and design of the original Kestrel 1000 hand-held wind meter back in 1994. Here at Richard Paul Russell Ltd we decided to continue the very popular discount on the Complete Kestrel Weather Meter package. The Kestrel Weather Stations give a 20% discount over buying the elements individually. 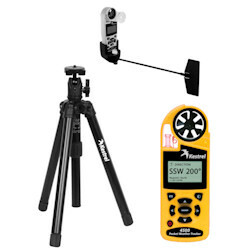 The Kestrel 4000 and Kestrel 4500 Weather Station combine the weather meter with the Kestrel Vane Mount and Large Tripod to create a complete standalone weather station. 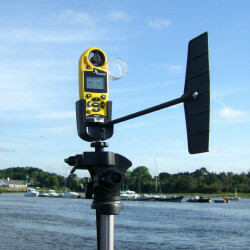 These complete weather stations can be left remotely with no human involvement to continuously log the incoming data which can be downloaded using the Kestrel PC Interface or automatically via Bluetooth to PC.